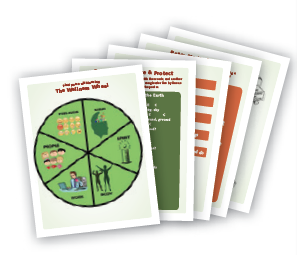 LFFP's Tool Cards are a great resource for teachers, parents, and all peace practitioners. Each of these 4 1/4" by 5 1/2" cards are in full color back and front. Each card offers one of the many tools LFFP teaches in our camps and classes.